The Bermuda Men's National Sevens team won the Bermuda Rugby Football Union’s Sevens Tournament at the National Sports Center. 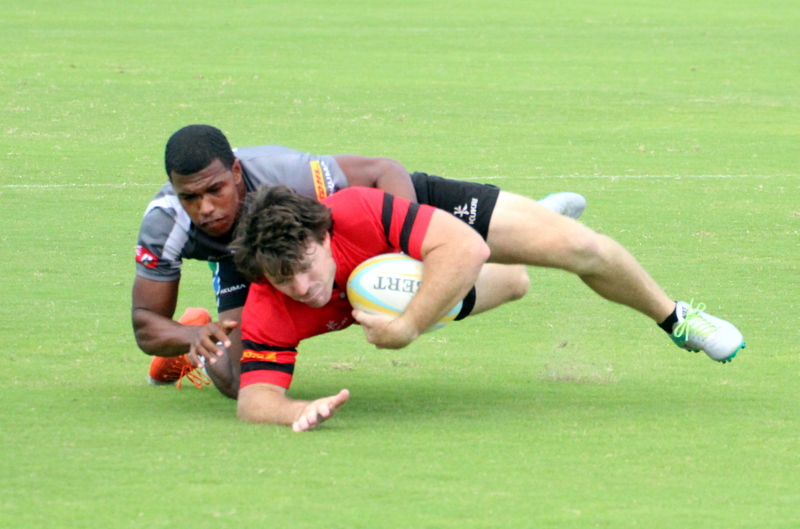 The National team are preparing for the Rugby North Americas tournament in Barbados, ran through their opponents. The Police defeated the Mariners 38 – 5, the Police got Try’s from Darren Klein, Adam Rossiedes, Henry Johnson, Vaughn van Oudtshoorn, Ben Greene and Andrew Kemp, while Dillon Marshall kicked 3 Conversions and Darren Richardson added another, Chakote Wainwright scored the lone Try for the Mariners. The Renegades defeated the Teachers 17 – 7, the Renegades got single Try’s from Dave Wheatley, Matt Keilo and Robin Bricknell, while Paul Kelly kicked 1 Conversion, Adam Chavez scored the lone Try for the Teachers, with George Peets kicking the Conversion. The National team defeated the Mariners 26 – 0, Antonio Perinchief, Dan Cole, Cory Boyce and Stefan Smitt all went over for a try, while Dan Cole kicked 3 Conversions. The National team defeated the Police 49 – 0. Cory Boyce scored 4 Try’s, with Tashon DeSilva, Tom Healy, Bertie Horsefield and Jamie Baum all adding a Try each, while Dan Cole kicked 6 Conversions. Adam Chaves, George Francis, Donald Folkhard, Mikael Dill all scored a Try each to guide the Teachers to a 24 – 21 win over the Mariners, Dill kicked 2 Conversions for the Teachers. Mike Kelly would score 2 Try’s and Chakote Wainwright added another, Wainwright would also connect on 2 Conversions for the Mariners. Cory Boyce scored three Try’s and Dan Cole kicked 3 Conversions guiding the National team to a 21 – 0 win over the Renegades. The Police went down 7 – 0 to the National team, with Tom Healy scoring the Try and Dan Cole kicking the Conversion.